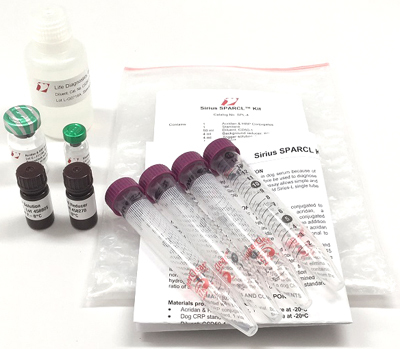 Sparcl Kits allow measurement of biomarkers in biological samples using a single set-up, 30 minute, no-wash immunoassay. A great alternative to ELISA's. 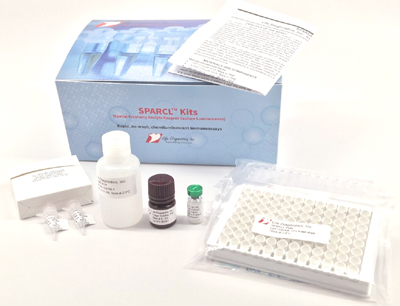 A typical SPARCL™ Assay requires no wash steps, involves a single incubation, and takes approximately 45 minutes, including sample preparation time. This contrasts with ELISA's that require 1-4 incubations, 1-3 wash steps and take 2-4 hours.